Today I am thankful for tea. I am not really a coffee drinker, but if I do decide to drink coffee, I usually mix in so much creamer and sugar that it probably barely qualifies as coffee anymore. Tea, on the other hand, is a different story. 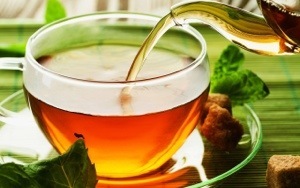 I love the taste of tea, appreciate the fact that it can warm me up when I am cold, cool me down when I am hot, and is healthier for me than many alternative beverages. It is usually rather easy to prepare tea, and it is fairly inexpensive. And in addition to these wonderful qualities, tea also has a comforting effect. Something about it just makes things seem better and makes the challenging times seem a little more manageable. By no means is tea a miracle product or anything. And though I very much enjoy and appreciate tea, it’s probably the time that I slow down for a moment and breathe while drinking tea that is really what is helpful to me. Today’s Gem of Gratitude #81 – Happy Labor Day!